EAW015498 ENGLAND (1948). Billingley, Open Cast Coal Quarry south of the village, 1948. 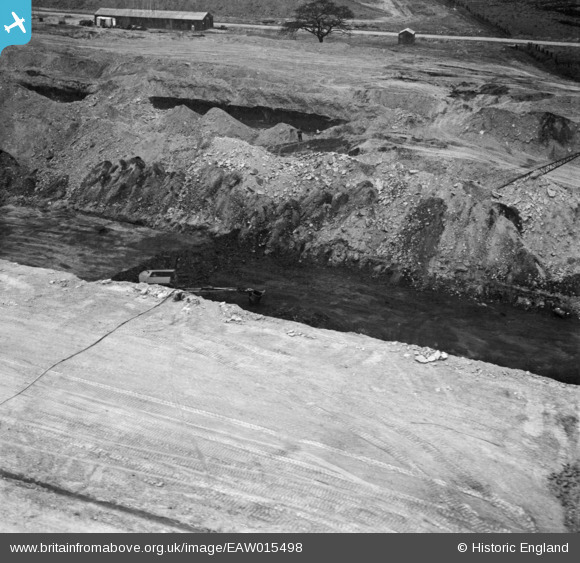 Pennawd [EAW015498] Billingley, Open Cast Coal Quarry south of the village, 1948. Large Jib belonging to 'Dragline' type excavator? Small 'Face-Shovel' Type excavator, possiby electrically powered, is that a cable running towards it? Don't THINK it's an electric cable. THINK that the 'gadget' on the rim just above it is a water pump and the 'cable' is a hose, possibly to drain water away.